Growing up on a farm, one of the jobs my father gave me was cultivating corn. As I carefully steered the tractor down the rows of corn, it was entertaining to watch the ground move past the rolling tires. 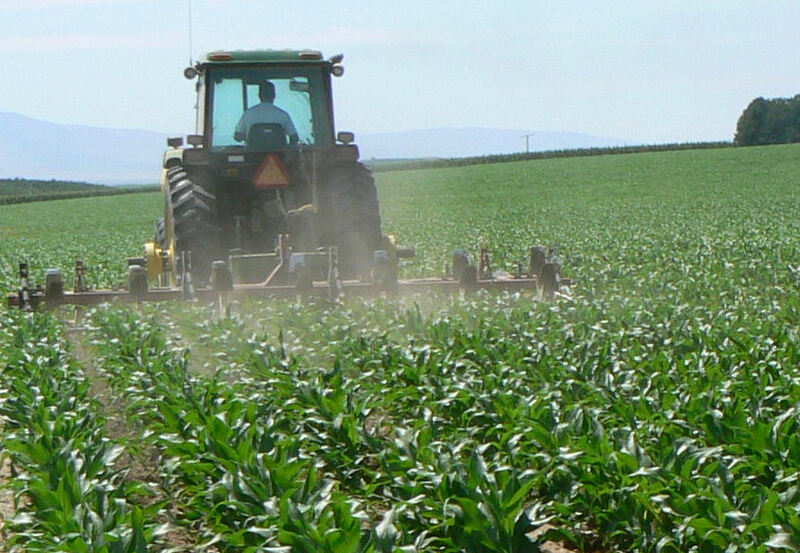 Millions of little weeds were bounding out of the soil in anticipation of choking and stunting the valuable corn crop that had been planted just a few weeks before. Cultivating requires driving the tractor straight down the rows, always keeping your tires steered in the bottom of the correct rows. Dad taught me steering correctly kept the cultivator knives and shovels in the proper positions, causing major turmoil in all areas except where the corn plants were as the tractor sped along. All the weeds growing in the wide spaces of the furrows were covered with dirt, their roots cut and their days ended. If you did a good job, the weeds disappeared and the only thing left was fresh soil and the rows of corn left to grow without competition from the weeds for nutrients, water and sunlight. Living correct principles is like cultivating corn, always steering your life in the right rows. The weeds in the fields are similar to the nasty habits and addictions we deal with in life. We don’t need them. They are not productive. They stifle growth. They ruin crops and lives. If we get careless, we will veer off the correct rows or path and start tearing out life’s valuable crop while letting the weeds run amok. Hold to the rod. Stay on the path. Keep in the right rows. Grow the crop, kill the weeds. Each of us owns a field of corn and a tractor. We have the steering wheel of life in our hands. We do not want to leave a big ugly swath of destruction behind us. Life is even more unforgiving than a crop of corn. A damaged corn field lasts but one season of a few months. The next year, we can do a better job of cultivating. However, life is a much longer season. Once we cease traveling in the right direction in life, it is much harder to get back in the right track. Turning the steering wheel becomes much harder. Our brain has a constant tendency to quickly become cemented in, following wrong directions and habits if we don’t stay vigilant. 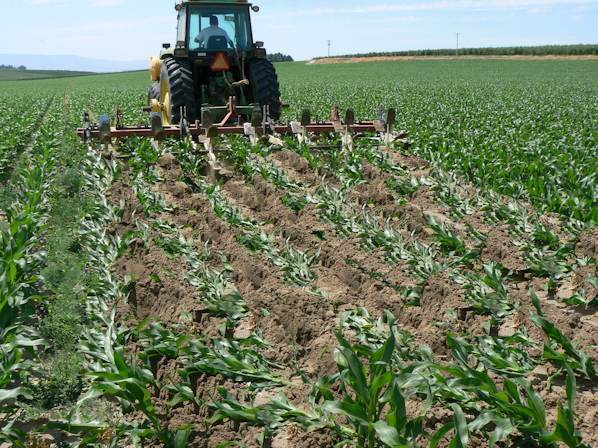 We each are dealing with weeds and corn, forces and influences, good and bad. Advertisements, movies, music, peer pressure, priorities, entertainment, brain cells looking for habits to hook up with, personal weaknesses and traits, the internet with all its good and bad, drugs, alcohol, and chemicals in the brain that can cause wonderful experiences or raise havoc. Everything around us influences or moves us one way or the other. Most of these forces are in front of our ever-moving tractor of life and we are constantly steering through the field with our choices. We are always tearing out either weeds or corn. The farther we get off our correct rows, the harder it is to get back on. The longer we drive off the row, the less our power-steering works and the harder it is to turn the wheel. Many in this life have quit trying to steer, letting the tires and cultivator knives and shovels tear out the good and leave the bad. Good habits, constant vigilance, repentance, prayer and scripture studying are essential cultivating tools to keep us from doing permanent damage to our one and only season. I have done a lot of tractor driving in my life. I have done a great job at cultivating acres and acres of life’s corn and feeling good about my work. However, I have also torn out many good stretches of the same crop. I have had to stop my tractor, wasting valuable moments of sunshine, backing my tractor up, attempting to stand the corn plants up and push the dirt back around the roots. Many times I’ve had to just move on and wish I had done better, realizing that the damage was done. Each time I got off the row, regret and lost opportunities lessened my yield and jeopardized the promise of a bumper crop. Sometimes, I have not been able to undo the damage. Often I have been able to rectify the situation but at a great loss of productivity, time and potential. How much easier it would have been and how much further down the rows of life I would be if I had been more careful at the wheel. I know people who have always seemed to keep their steering wheel pointed in the right direction. They are always at peace. I’ve known others who, for various reasons, have gotten in the habit being sloppy and driving helter-skelter through their field of life. It is never good. They never enjoy solid happiness. The weeds of misery haunt their fields. They allowed their direction to drift off course and are left with the results. The good things of life that bring harvests of happiness are torn out and the encroaching thistles and weeds that bring misery and emptiness are allowed to remain and grow. A close and wonderful relative of mine got off the right rows at an early age and before he was 50 he had lost his family, was saddled with crushing addictions and prematurely ended his cultivating life with a bullet. Others I’ve known have not ended that desperate but their lives are still barren in many spots because of improper cultivating. Thankfully, the Savior has provided a means for us to stop our tractors, back up, get ourselves situated correctly and start again down the right rows. Wise cultivators always watch and work to make sure their field doesn’t suffer from cultivator blight.